← Happy Sunscreen Protection Day! With a little bit of knowledge and effort, it is possible to improve the condition of the skin. Skin Remodeling DIY provides information about how the skin functions, skin-aging processes, skin maintenance and protection methods, cosmeceuticals, and cosmetic dermatology techniques that can be used to effectively improve skin quality. Our lives, interests, funds, and available time are infinitely variable. With that in mind, the book Skin Remodeling DIY summarizes a variety of skin care methods, allowing the reader to select the practices, tools, and sequences that best fit their lifestyle and preferences. A new 5-minute skin care routine will, over time, make positive changes to the skin. Committing to using additional skin care treatments will result in even more noticeable changes. It’s one thing to apply an expensive serum or cream, which can run upwards of $300 per ounce and wait to see results; it’s another thing to prepare the skin to accept high quality nutritive ingredients and stimulate collagen and elastin production using premium products on a household budget. Women, men, any age… if you do not have a special way to care for your skin or if your current special way is not giving results, try some of the methods described in Skin Remodeling DIY and let me know what you think at info@skinremodelingdiy.com. Skin Remodeling DIY is 142 pages and has 70 illustrations. It provides an introduction to skin care techniques that are used by many but known by few. The book is based on information available on Internet skin care forums where skin care enthusiasts share their cutting edge DIY exploratory and skin maintenance experiences. Anecdotal information from the forums guides the book outline while the text is supported by published scientific and informational references. A long list of Internet website addresses provides easy access to sources that will support a new skin care routine. 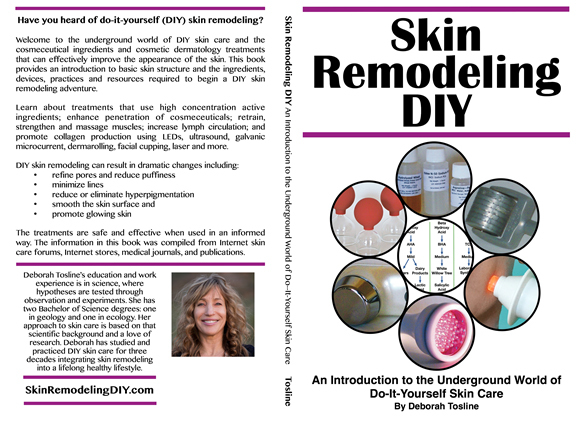 Skin Remodeling DIY is now available in print from Amazon. Buy the eBook on Kindle, Nook, and iBook. Post your thoughts and watch for announcements on the Skin Remodeling DIY Facebook page. Deborah Tosline’s education and work experience is in science, where hypotheses are tested through observation and experiments. She has two bachelor of science degrees: one in geology and one in ecology. Her approach to skin care is based on that scientific background and a love of research. 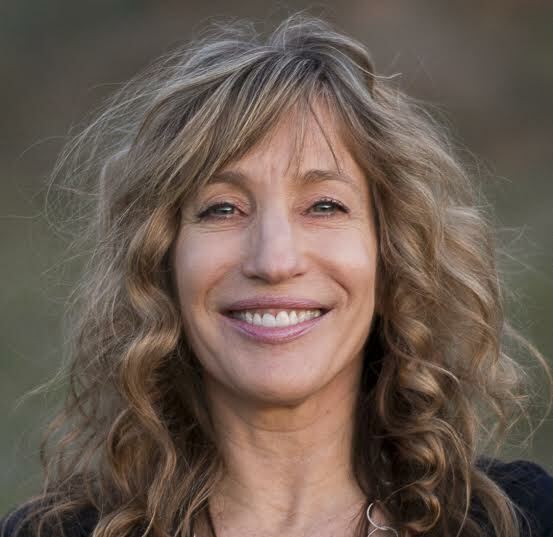 Deborah has studied and practiced DIY skin care for three decades including a consistent facial exercise practice from 2002, and five years of teaching facial exercise. She has integrated skin rejuvenation into a lifelong healthy lifestyle. This entry was posted in Deborah Tosline and tagged Phoenix Publishing & Book Promotion, skincare. Bookmark the permalink.